A year after winning the Pacific Division and becoming the first North American professional expansion team to reach a league final, the sheen may be starting to wear off the NHL’s Vegas Golden Knights. 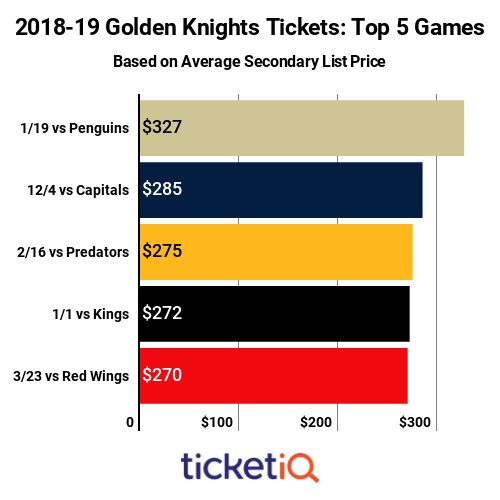 According to secondary ticket marketplace TicketIQ.com, the average asking price for a Golden Knights tickets have dropped from $271 at the beginning of the season to $199 – a decrease of nearly 27%. Vegas fell from having the No. 2 priciest ticket on the secondary market in the first half of the season to the fifth priciest at the start of the second half. And the current $199 average asking price is the lowest in the team’s two-year history. As of February 12, the highest average asking price in the NHL was $325 for the Toronto Maple Leafs, and the lowest was $66 for the Arizona Coyotes. The Maple Leafs also started the season ranked No. 1, and currently have the only average asking price of more than $300 in the league. Arizona started the season with the cheapest ticket, and the average asking price has fallen just over 8% since the season opened. Hard to figure exactly why this game is so cheap because as of February 12, the Stars were in sixth place in the Western Conference, behind the Golden Knights. The drop-off between fifth and sixth place is significant, though – Vegas had 66 points and Dallas had 61. As of February 12, the Panthers were in 13th place in the Eastern Division, and the teams have played only three times since Vegas’ inception. The Golden Knights beat Florida in Las Vegas, 5-2, on December 12, 2017, and lost to them at Florida, 4-3, in overtime on January 19, 2018. The most recent meeting was on February 2 at Florida, and the Panthers won, 3-1. This is the final regular-season home game for the Golden Knights, and they’ll be playing one of the weakest teams in the league in a game at the end of the regular season which may have no playoff seeding implication. The story of the Vegas Golden Knights has been well told. First professional team in Las Vegas makes good by winning the NHL’s Pacific Division and reaching the Stanley Cup. The season was the best in the history of expansion teams in North America. 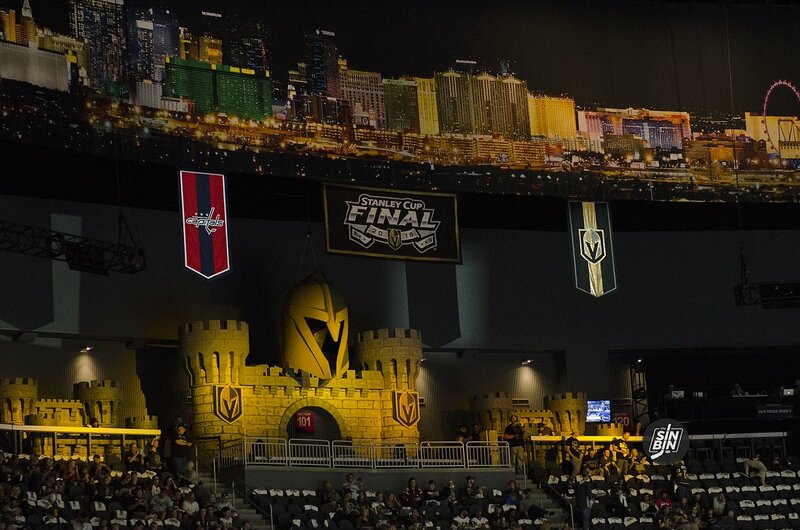 And Vegas’ fans are saying thank you in the most tangible way – by pushing up demand for tickets. The most remarkable story in recent sports history just keeps getting better and better. The average asking price for a 2018-19 Vegas Golden Knights ticket is $271, making it the second most expensive behind Toronto’s $332 average in the NHL. Ticket prices are up more than 38% over last season’s average price of $196, one of the biggest jumps in the league, according to secondary ticket marketplace TicketIQ.com. Vegas had a stunning run through the post season, sweeping the L.A. Kings in the opening round, beating San Jose in six games in the second round and knocking off Winnipeg in five games in the Western Conference Final. The biggest change in the offseason was losing winger James Neal to Calgary. Other than that, Vegas’ biggest challenge will be living up to expectations. 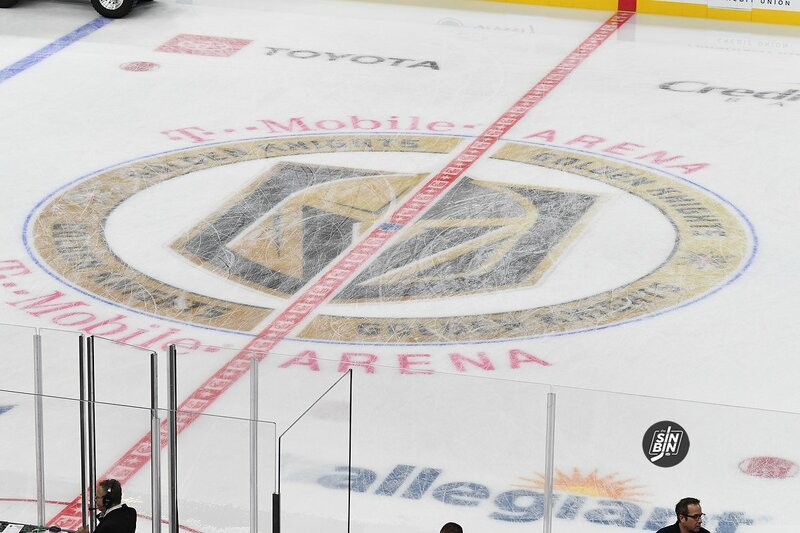 Given the Golden Knights’ success, it’s no surprise that season tickets are sold out and while single-game tickets are available through primary market vendor AXS, many games at T-Mobile Arena are close sold out, including the October 4 home opener against the Philadelphia Flyers. For that game, AXS has primary market seats available in Section 223, Row L for $275. Seats in the same section are available on the resale market in Row H for $300. The season opener at T-Mobile doesn’t crack the Top 5 priciest games on the secondary market this season. The single most expensive game is the January 19 Pittsburgh Penguins matchup, for which the average asking price is $327 on the secondary market, with a get-in price of $208. The Golden Knights and Pens played only twice last season, with each team winning at home. 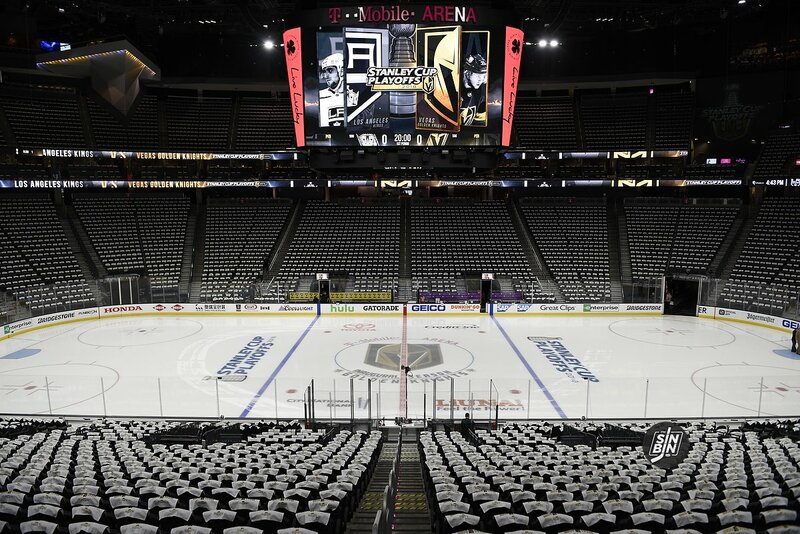 With a 1-0 series lead over the Washington Capitals in the NHL’s Stanley Cup Final, the Vegas Golden Knights are still commanding a pretty penny for tickets at T-Mobile Arena. The Golden Knights, who are poised to become the first expansion team across any American major professional sport to win a league championship, are helping to make the series the most expensive since on the secondary market since TicketIQ.com began tracking data in 2011. 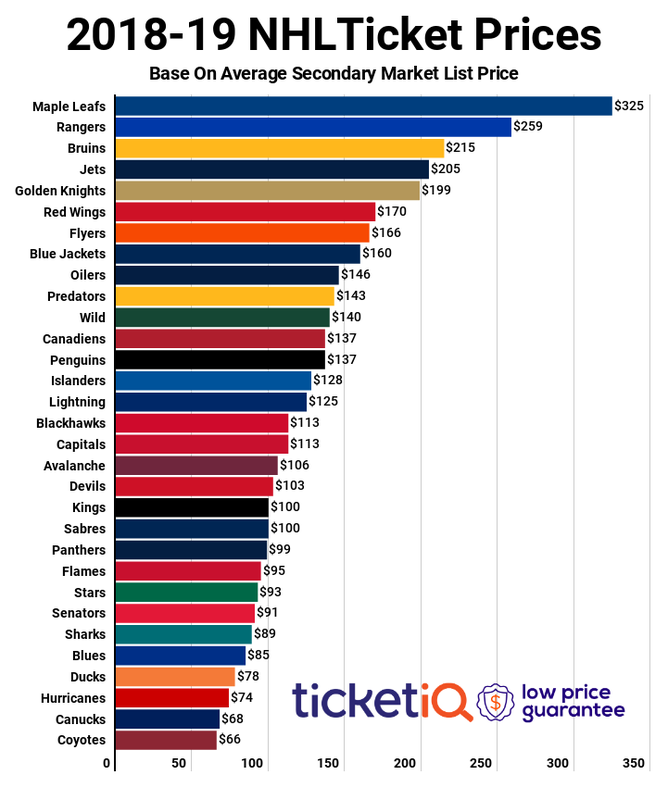 As of Tuesday, the average asking price for a ticket to the Stanley Cup Final was $1,983, more than $400 more than the next highest Stanley Cup Final on the secondary market. The 2014 Los Angeles Kings-New York Rangers cost an average of $1,573, the previous high. The series continues Wednesday in Las Vegas with Game 2. The $2,052 average asking price for a ticket at T-Mobile Arena is the fifth most expensive for a Stanley Cup Final since TicketIQ began tracking data in 2011, while the $1,891 to see the Washington Capitals play at home is the sixth priciest. Vegas fans have been driving ticket prices throughout the playoffs. 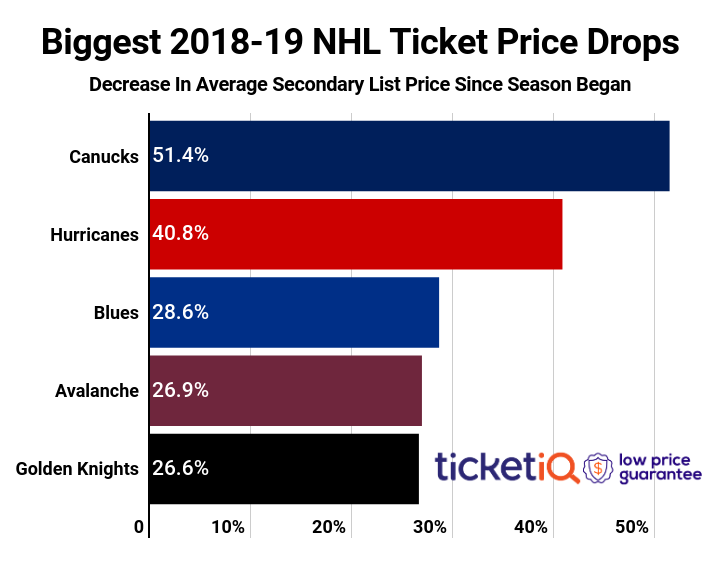 The average asking price for the Stanley Cup Final is down – from an average of $2,036 on May 28 to the $1,983 on May 29 – but most of the decline has been in demand for Washington tickets. 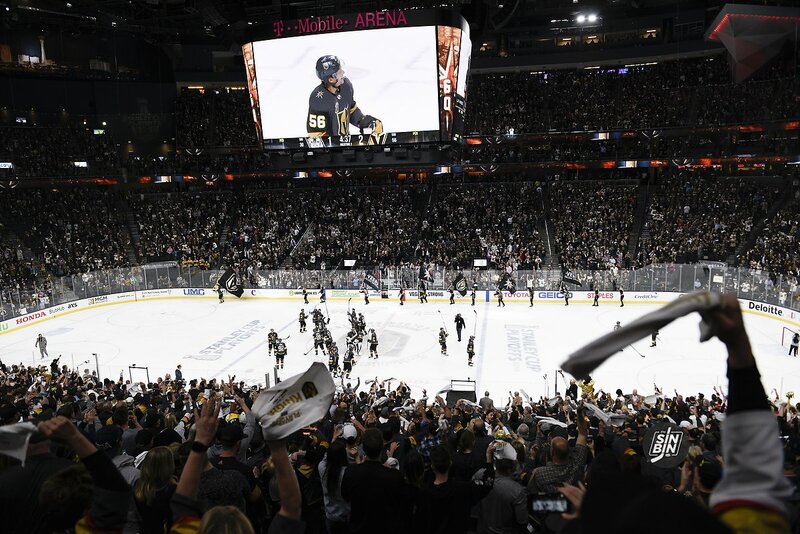 In fact, the average asking price rose for Game 2 in Vegas during that 24-hour period, from $1,512 to $1,570 and the average asking price for Game 5 went up $2, from $2,664 to $2,666. The only game at T-Mobile to see a drop in average asking price is Game 7, from $2,484 on May 28, to $2,319 on May 29. During that same span, the average asking price for a ticket in Washington fell nearly $90 from $1,979 to $1,892. Fans of SinBin.vegas can get a special discount when buying tickets on TicketIQ.com by entering the referall code SINBIN at checkout. Will the Vegas Golden Knights become the first expansion team in the history of major professional sports to win it all? Fans sure hope so and are driving up ticket prices as the team prepares for its Stanley Cup Finals second-round series against the San Jose Sharks tonight. Both teams swept their first-round opponents and have been off for more than a week. According to TicketIQ.com, the average asking price for a ticket to see the Golden Knights play at T-Mobile Arena is the second highest across the NHL. The $621 asking price on the secondary market represents a 28 percent increase over the cost of tickets to opening round against the Los Angeles Kings. Only the Winnipeg Jets ($632) are commanding a higher price at home. The cheapest average asking price on the secondary market is $229 in Pittsburgh. The Jets (No. 1) and Golden Knights (No. 2) have the highest average asking prices for a second-round NHL playoff game since TicketIQ began tracking data in 2011. The Golden Knights can host up to four games, and none of them will be cheap. The most expensive asking price is for an if-needed Game 7, which is currently at $797. The least expensive asking price if for Game 1 ($495) while and Game 2 ($631) is the second most expensive and Game 5 ($562) is third. The overall series average asking price on the secondary market is $467 and it will be significantly cheaper to see a game in San Jose ($261). The get-in price at T-Mobile Arena ranges from $156 for Game 1 up to $214 for Game 7. It’s just $98 for Game 3 and $99 for Game 4 in San Jose. Use promo code SINBIN when purchasing tickets on TicketIQ.com and you’ll receive $20 off your first purchase. With a 1-0 win in over the LA Kings first ever playoff game on Wednesday, the NHL’s expansion-team extraordinaire Vegas Golden Knights continue their miracle season. While technically not the first expansion team to reach the NHL playoffs, they’re the first to do so in the modern NHL expansion era, which began in 1991. At 7/1 odds to win the oldest trophy in sports, their casino neighbors have also made them one of the favorites to win the Stanley Cup–definitely a first. As a result, demand for Vegas Golden Knights playoff tickets are the third most expensive in the first round. For tickets to Game 2 register on TicketIQ and use referral code SINBIN to get $20 off your first purchase. You can register here. Having filled T-Mobile arena at 103% during the regular season, it’s been high demand since October when #VegasBorn was born. Whether or not the Knights are still playing in the June desert heat, the season has been more successful than anyone could have imagined. While Vegas is technically the 5th expansion team to qualify for the playoffs, they’re certainly the best. While neither the Whalers, Nordiques or Oilers made it out of the first round, they were also not truly expansion teams. They’d been competing in the World Hockey Association for years. Additionally, after the NHL- WHA merger, 16 of 21 teams qualified for the playoff, which made it hard to not qualify.